More than 200 years ago, London’s Royal Society of the Arts recognized two New Jersey vintners for their success in producing the first bottles of quality wine derived from colonial agriculture. Ever since, New Jersey has continued producing high-quality wines, and now nearly 50 wineries in the state are growing grapes that go into the making of award-winning product. Tom Cosentino, spokesperson for the Garden State Wine Growers Association, says that New Jersey has grown to become the country’s seventh-largest state in production and fourth-largest in wine consumption. 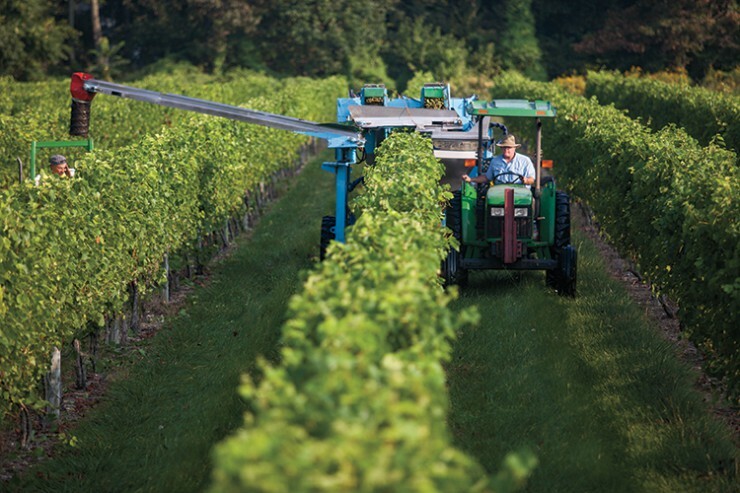 Vineyards are the fastest-growing segment of the state’s agriculture business. Of course, that wasn’t always the case. Before 1981 there were very few wineries in the state, but now, wineries and tasting rooms are popping up around the state, allowing farmers to switch from traditional crops to grapes. A big change in the wine industry came in 2012, when a new law allowed New Jersey wineries to ship wines outside state lines and even internationally. Charles Tomasello, Jr., co-owner of the third-generation Tomasello Winery in Hammonton, N.J., has been taking advantage of the new law, bringing wines into 28 states and shipping fruit wines to China, Taiwan and Japan. New Jersey has three federally designated American Viticultural Areas. The largest is the Outer Coastal Plain in the southern half of the state, which is similar to France’s legendary Bordeaux region, with sandy soil, extensive sunshine, relatively mild winters and moderate breezes from the Atlantic Ocean and Delaware Bay. 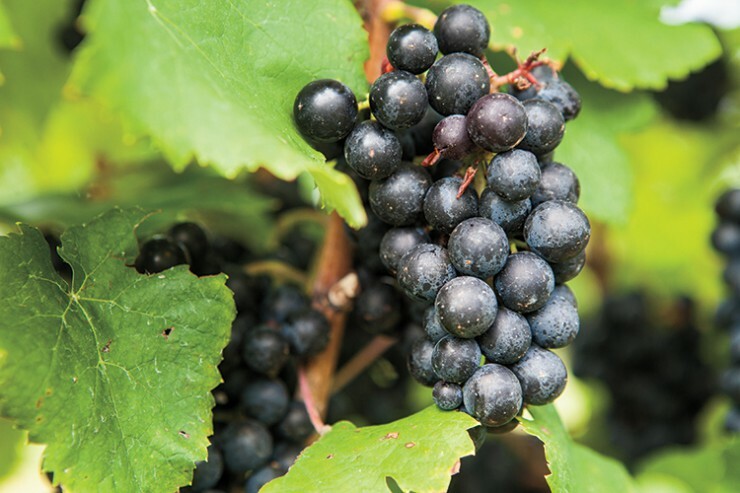 The Central Delaware Valley and the Warren Hills area both specialize in fruit wines and white wines similar to those from New York’s Finger Lakes region. Tomasello Winery is positioned along the Atlantic coastline and the Pinelands, so it has Outer Coastal Plain soil. It currently has 70 acres under vine, with more than 30 varieties of grapes including Native American, French hybrids and classic vinifera. It’s known for its award-winning Rkatsiteli, a Georgian variety grown at the vineyard, as well as the many Fruit Forte wines, which have earned the winery numerous prestigious national and international awards, as well as the praise of wine critics, dessert chefs and wine drinkers alike. Another winery that has made itself known in competitions is Bellview Winery, in Landisville, N.J. Owner Jim Quarella planted his first grapes in 1999 on the same land where his family had been raising vegetables for almost a century. 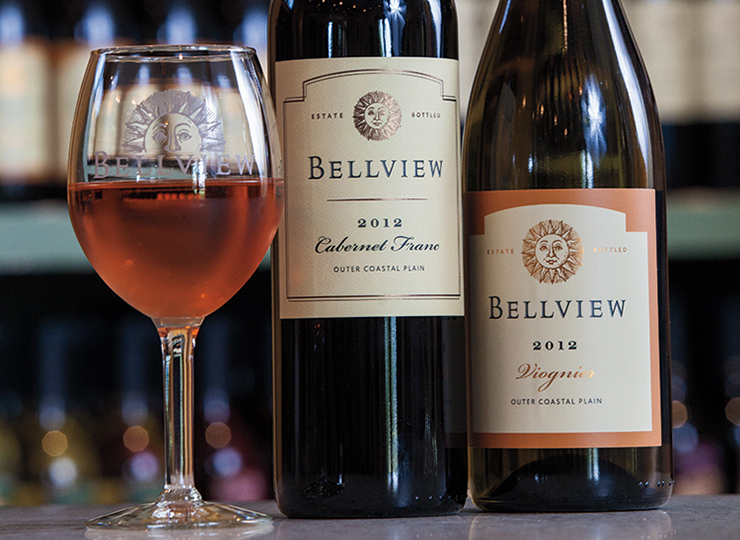 Bellview offers 30 wines, which include a variety of whites, reds, fruit, dessert and sparkling wines, port all from grapes cultivated in the vineyards and even a dandelion wine from an old family recipe. Most recently, its viognier was awarded double gold in the New Jersey State Wine Competition and its chambourcin won a gold at the Finger Lakes International competition. It also took home a silver medal for the 2008 port and four bronze medals: NV fiesta, NV lettizzia, NV Jersey Devil white and 2011 chambourcin at the GSWGA Wine Competition this year. In the early 20th century my grandfather, Salvatore Renzulli sold wine under the name, Father and Son brand Claret. The vineyard and winery was located in Landisville NJ,not far from the current Belview winery. Operations ceased with the onset of prohibition. Take a look at New Jersey’s leading agricultural commodities.